Current position(s): Principal Bassoon for Zurich Tonhalle Orchestra since 2003, Principal Bassoon for Lucerne Festival Orchestra, Professor at Hochschule for Music and Theatre in Zurich, & artistic director for bassoon for The Muri Competition in Muri, Switzerland. Education: Rácz studied under Prof. Dag Jensen at the Hochschule for Music and Theatre in Hanover. Notable performances/accomplishments: At age fifteen, Rácz made his debut as a soloist with the Cologne Chamber Orchestra in the television production “Junge Künstler auf dem Podium” (Young Artists on Stage). 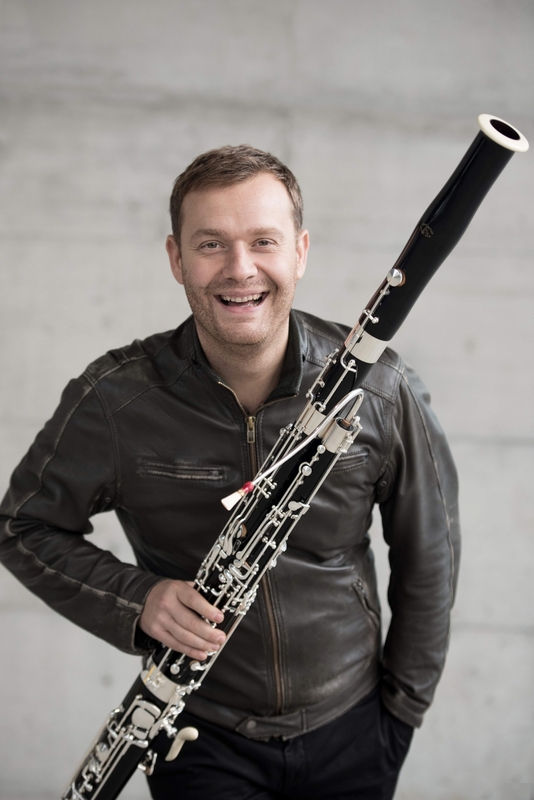 He has been a guest soloist at Mozart Festival Schwetzingen, Rheingau Music Festival, Schleswig Holstein Music Festival, and Festspiele Mecklenburg-Vorpommern. In 2002, he won the International ARD Music Competition in Munich and the Prague Spring International Music Competition. Teaching Opportunities: In 2003, Rácz was a lecturer for the Ongaku-juku Opera Project in Japan. He gave his first international masterclass for bassoon at age 24 and has since led many masterclasses around the world. Check out one of Matthias's performances during his tour in Asia!